Jamie Hanson is an Assistant Professor at the University of Pittsburgh Department of Psychology and a Research Scientist at the Learning Research & Development Center. I read a paper he co-authored called Association between Income and the Hippocampus which explored the impact of poverty on the part of the brain most associated with the generation of imagination. The paper suggested that growing up in poverty can result in decrements in attentional processes, working memory, and a measurably smaller hippocampus. In an exploration as to the reasons why, as a culture, we might be less able to constructively imagine the future, Jamie felt like an important person to talk to. Is your sense that in order for somebody to have a strong active imagination and particularly the ability to imagine the future in creative ways, other than what’s in front of us, the hippocampus is a pretty essential piece of kit for doing that? I’m interested in thinking about the role of the hippocampus in learning. It’s classically known as a memory formation, or memory storage brain area. A great deal about what we know about this brain region is from a man who had his hippocampus removed because of a major medical issue (epilepsy). This person (Patient) HM then basically couldn’t “make” new memories. He would repeatedly be tested at different research universities. He would meet these same experimenters multiple, multiple times and complete multiple tasks with them. He would not remember a great deal of new information presented to him when he was tested at those universities (sometimes not even remembering the experimental staff). From this, we know the hippocampus is involved with memory, but memory often can be central to learning (and creativity). The new information we’re greeted with has to interact and connect to other information that we’ve stored that we think is important. It’s both this old and new, and the interaction between these new information-gathering systems and this old information storage that really leads us to adaptively (or un-adaptively) work through and guide our behaviour. There’s interesting new work on the hippocampus, focused on the region’s role in context processing, as well as pattern separation (understanding patterns in your environment and when things may generalise or not generalise). I think about those as key building blocks of creativity and learning. Also if you have a degradation of this old memory storage, the bedrock of information that tells you about different places and experiences, you may have a lot of trouble being interesting, innovative, expanding into a new place. In addition to the hippocampus, I have also studied a region of the brain called the orbital frontal cortex, or sometimes people call it the ventral medial pre-frontal cortex (VMPFC) It’s basically above the orbits of your eyes, along this ridge of the eyeballs. That region is involved with value (and reward), but we’re starting to see some connections between the VMPFC, how we think about rewards, and value, and how that connects to this larger storage of previous information (like information about environments and context). I think a lot about this VMPFC, that value-based region interacting and being one important node, along with the hippocampus, and another region called the striatum, for us to learn from rewards, understand what might be of use and value in our environments, and those feel like strong elements of creativity. I think a lot also about these regions as they are impacted by different stressful experiences, how stressful experience may impact people’s moods, and how this may influence learning in individuals. Could you give us a sense from your work, how does poverty affect how the brain develops? With all my work, I really want to underscore, first and foremost, that not all individuals in poverty are struggling or face challenges; many do, but not all. Many individuals work through the challenges created by and related to poverty; however, a number of people also have issues in different domains of their lives. 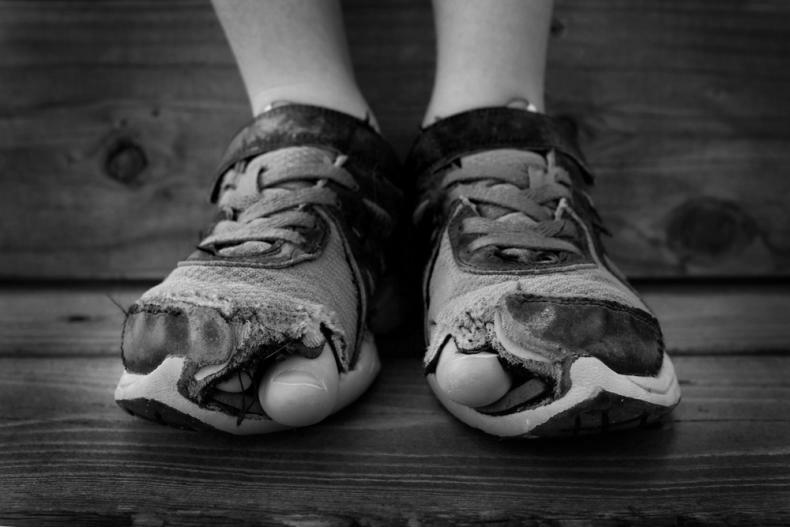 Poverty can increase the probability (or likelihood) of having some problems. And I think of that, not due to any genetic difference, etc., I think of poverty as stressful. We know that stress can increase different life problems, be it your physical health or your mental health. So, if we think of poverty as a major source of stressors, it is perhaps not surprising that we see an increase in the risk for some types of problems. From a scientific perspective, we have tried to break poverty into smaller parts, as it is a big multi-faceted concept. Many in the field have focused on two core elements of poverty: environmental enrichment and stress exposure. Both of which are independently and potentially interactively influencing the hippocampus. This is something I have focused a great deal of my research on. By environmental enrichment, I simply mean having complex and interesting places to explore, and more new and interesting experiences to have. Related to this, there’s powerful work (from the 1960s and 1970s) in rodents where they just took a number of rats, and they put them in really stimuli-rich, complex cages. Put another way, some of the rats got lots of balls and tubes to run around in. And some of the rats just got care as usual (less balls, less tubes, less stimuli to play with). That research found that the rats that were in these more complex cages, their hippocampi were larger. And the idea is if you just have more room to explore and maybe gather new knowledge, that the hippocampus will expand. All this work suggested that the hippocampus is impacted by environmental complexity. And often (though not always) children living in poverty have less complex, less child-centric spaces. Parents and caregivers may be less able to take kids to more complex and enriching experiences (because there’s just less money). Really contextualizing that (on a day-to-day level), the poverty line is about $22,000 for a family of four (in the US). If you live in subsidized housing, that housing may be small and, governments may invest less money in caring for those buildings, etc. This may lead to less complexity and richness in that environment. In addition, having more money allows access to more experiences (and those things can influence brain development). For example, if money is low, you may not be able to go a new museum, or to have the newest toys and books. Over time, these things may all impact the brain. The other place of influence is about experiences of poverty as being ones that are often of high stress. There may be less stability because there’s less money available, there may be higher crime rates in some neighbourhoods; again, this isn’t always, but I think many governments don’t always work to put subsidized housing in the best portions of cities and towns. So sadly, families that have less money may get pushed into those places. And you have environments where you’re walking around and feeling a bit more uneasy. All of these factors may mean, families living in poverty may often just be “idling” a little bit higher in terms of their vigilance. They might be concerned about crime or violence in their neighbourhood, and this might be a more constant part of their life. Thinking again about day-to-day stress, I also think about how poverty is often linked to “food insecurity”. Some families without means don’t always know where and when their next meal is coming from. This again may mean you worry and focus on this part of your life (and this could impact the brain). Jamie speaking to me via Skype. And many may talk about “free and reduced price lunch” in the US when children go to school. But what about the weekend? It’s Saturday or Sunday, there may be little to no money. And you worry, you worry about what you are going to eat and where that food is going to come from. That can weigh on people. Here in Pittsburgh, I’m very proud of and trying to support some community organisations that have children come into their after-school programmes, and distribute food for the weekend at school (because there’s not enough at home). I think these can be simple, public policies to reduce different kinds of stress in children’s lives. Again, thinking about day-to-day stress, I think about the volatility of a challenging neighbourhood. I know a lot of families where gentrification (the continued development of different cities) has really caused many families at the margins to be pushed out. As neighbourhoods change, different portions of cities may change in (real-estate) desirability. And sadly, what is common now is that developers may (over time) want to buy up and develop the real-estate that was once less desirable (and many impoverished people may have been displaced to previously). However, as real-estate has now become desirable, rents go up and people living in poverty are getting displaced again. This instability is stressful, it’s hard on a family, it’s hard on a child, and there’s lots of different kinds of moments like that. To give one note of background about physiology, when facing a challenge, your body starts to mount a stress response. Cortisol is an important stress hormone, “fight or flight”, helps with energy metabolism. It’s useful in small doses. We have cortisol to face a predator. It helps you break apart stored energy (glucose) and get away from a threat (in the short term), something that’s going to get you. But now there’s a lot of experiences of psycho-social challenge and needing to confront your rough neighbourhood, or not having enough money this month, that also causes these stress responses to activate, and then those stress response systems chronically being activated causes the cellular composition of the hippocampus to be impacted, and then the cells to function less well. So both through these kinds of pathways (1) of environmental enrichment and exposure to complexity, and then this (2) stress and more uncertainty in your environment is another place that I think the hippocampus starts to get influenced. There are diets that are particularly designed to slow the onset of Alzheimer’s and different forms of dementia, which are designed around the Mediterranean diet. There’s some interesting research around that, and also around the use of dark leafy greens and so on. Could one say, logically, that if a population ate more like a Mediterranean diet and more leafy dark greens, that we would have healthier hippocampi? Is that a logical extension for you? I think that’s reasonable. What we’re starting to realise, and I think this will be one of the major insights for medicine of the 21st century, is just the power of inflammation. We’re starting to realise more and more inflammation, and inflammatory process in our body is a massive harbinger of a lot of bad things. There’s links with inflammation and heart attack and diabetes and other major medical issues. As you start to get more dysregulated in your inflammatory tone (what happens when your body thinks there’s an outside pathogen there), you mount an immune response and you start to inflame (swell), we’re realising that that has all these physical health connections but also is related to mental health. What we are realizing is that chronic inflammation can happen due to stress (and other psychosocial processes)… not just environmental pathogens and illness. Basically, other aspects of our world that we live in, something could trigger the immune response in this pathological way. Since chronic inflammation is likely bad for us, then one is basically potentially accepting that stress (and other psychosocial processes) could lead to a number of negative outcomes of both mental and physical health (through this immune/inflammation pathway). Related to this, there’s likely aspects of diets that impact the immune and inflammatory process. Mediterranean diets could start to change or impact the inflammatory processes in our body. I’m not an expert on this research, but it is a reasonable speculation. This could potentially overtime lower inflammation and this could relate to fewer negative outcomes of both mental and physical health. (But, again, this is all speculation). The challenge in so much of the neurobiological world is this is just like a large symphony of different effects that are all happening at once, and there are all these systems, but most researchers just focus on one. I talked about cortisol previously, and that relates to inflammation; inflammation can affect the brain, but the brain can also impact cortisol and inflammation… BUT to be honest, I don’t study them. I know and I’ve read about them, but I wouldn’t consider myself an expert on those. (So take what I say with a “grain of salt”). BUT all of these things are interlocked on some level. If you have cortisol that’s off, that can influence your inflammatory processes, your inflammatory processes being altered then starts the cascade into the brain, so there are all these interlocked things that we often have to look at holistically. That’s probably how we’ll get the most traction on solving a lot of both physical and mental health problems, is realising the interlocking of different domains of life. Related to my work on stress, we are starting to realize that adverse childhood experiences can influence people’s pure physical health. A large study in California worked with about 16,000 people and found with more adversity (just a simple checklist given to adults, about the really negative things that could have happened to them as children), there was greatest risk of heart attack, stroke, and diabetes. If you have more adverse childhood experiences, your rates of heart attack, stroke, diabetes, are all increased. Again, it’s because of linkages where you’re a child, you’re living in a rough environment, your body starts to adapt to that environment. You start to process the challenges of your environment. Your inflammatory processes and endocrine and cortisol processes start to impact your brain and all these things start to churn away. Then as you age, you have everything from greater myocardial infarctions to Type 2 diabetes. It’s saddening and I believe a clarion call for those in power, those who can change public policy to do something. Children are growing up, right now, in circumstances that may shorten their lives. AND yet we are mostly silent. These adverse psycho-social experiences are interlocking with biological processes, and creating risk… and we are doing nothing. It is shameful. It’s just another place of privileged for many, and another way that many are continually marginalized. More broadly (and related to your actual question), all these things are interlocked and connected. The food we’re putting in impacts on all these systems, from cortisol and your inflammatory process. If I eat something really fatty and heavy that’s going to impact my cortisol on a day to day level, and that cortisol is then going to impact my inflammatory processes. Consistently “bad diets” might impact cortisol and that kind of rhythm of my body and that’s going to cascade into a lot of other things. The body is ultimately trying to adapt, trying to figure out how to compensate, but as it compensates that takes a toll on everything. The message that I get from your research that I’ve read, is having an economy with a wide disparity between rich and poor, and having an economy with an imposed austerity is kind of the most self-defeating thing we can do, surely? I think about the in-action of those in power, and how foolish and tragic it is on two significant dimensions. Just from a purely economic dollars and cents idea… I kind of think the country and society that will “win the 21st century” will be the one that figures out how to buffer against the challenges that developing youth – the “soon to be workforce”— is facing. The country/society that can figure out how to help their children grow up in the most prosperous way, minimise the stress exposure that those children are having, are likely to have the best prepared economic workforce. I would also say probably also the more creative economic workforce. Thinking purely about “first order goals”, we want to get people to be 25 and capable citizens, preventing these kinds of stress exposures are crucial and key. Again, we’re not going to be able to perfectly solve all social inequality, but instilling in people that we care about them, that the government cares about them, that basic resources of safety and food are being provided, and there are these social safety nets, just does a massive amount of good for children’s development. At this point, there’s little question—when we try to support people, people with high levels of stress, it yields just untold benefits. Researchers have done this from an experimental perspective (removing any “third” factors or potential “confounds”), manipulated the amount of money that people have, assigned them to different interventions, and we see major, major improvements in developmental (and societal outcomes). And if we actually just had that across the board, for all children, we again would just have a more prosperous society (and define “prosperous” however you like). I often am greeted with people who give me the “bootstrap idea” of, “I was from an impoverished family and walked 10 miles to school every day.” […this litany of things], and then they say “I turned out okay”. I honestly get very frustrated, and I want to turn the question back on them and say, “Yes, you’re doing great, and I’m happy for you… but on some level, if you didn’t have those experiences, if you had more stress buffering, or resiliency, or social safety nets, maybe your social status could be even better/higher? You could have more (of whatever you want to obtain more of). You could be president, prime minister, head of some company, head of the EU…”. In short, you may be doing well, but if we had actually tried to foster your development, foster the development of all children, most folks would be better off. Sadly it’s often not where our heads (or societal priorities) are at right now. And then, we can move away from pure “dollars and cents” motivation… we can try to think about how we define prosperous societies (and the human element of it all!). I think about the concept of “psychological well-being” (things like autonomy, environmental mastery, personal growth, positive relations with others, purpose in life, and self-acceptance). There’s lots of different societal frames and policies that we could change that cultivate this in a much more profound way. We could encourage and help everyone be “their best self” (which is hokey), but could just be said better as, “As a society, we want to help people utilize all their skills and all their potentials”. Those things don’t even enter into our public policy conversations (but they should!). The thing that comes through in your research is that actually those first few years of life are so important. We often imagine that period of time before kids go to school is not really that important, what matters is that you get them into school, but actually those formative early years are really, really important. Oh my God, yes. I understand why people think that, but I’m always dumbfounded because if people start to actually understand child development, what happens is you have kids that enter kindergarten in the first grade and there’s just this huge gulf between the privileged and the marginalized. You have kids often from impoverished circumstances struggling with vocab and reading, and then you have their higher, more affluent peers that are excelling in those things. Then you have a school system that has to bridge these gaps, and they struggle, and school systems are often poorly funded, and then focused on other priorities, like “kill and drill” tests in the US (In the US, we have the ‘No Child Left Behind’ programme, these metrics of standardisation and testing culture). To frame it neurobiologically, the brain is like a pyramid. It builds complex, specialized abilities on top of broader, more foundational elements. Put another way, it’s likely hard to skilfully plan your next move, if you have challenges paying attention to information in your environment. If you can’t hold and retain small bits of information (or you’re less effective at it), you might have trouble manipulating and using that information over time. The early years of life are when these broader, foundational elements develop. And if there’s challenges in that development, it can mean there may be larger issues moving forward. That’s not to say that societal investment can’t be impactful at other points in the lifespan. It very much can. I think a lot about plasticity. I didn’t learn how to ride a bike until I was 21. I didn’t actually learn how to drive a car until this year. I’m not a good driver yet. But I’m a great bicyclist, and I think about how my brain was able to develop that pretty complex skill. However, comparing my experiences with those of a child, is a very classic tale. I had hours and hours of learning to ride a bike, or taking driving lessons. There was this more intense investment that a younger person learning these skills. The brain develops massively in the first 3 or 5 years. Literally from birth to about year one and a half, the volume, just the gross size of the brain, doubles basically. It has about a 200% increase. You have a “very squishy” small brain, and it literally doubles in size in the first two years. All the experiences kids are having impact that kind of development. If you have a lot of really stressful moments, where your environment is harsh, your parents are not that warm and connected to you, that’s going to affect that process. It’s not irreversible in any way, but kids are starting different transitions in their life at really different spaces. If you had been elected last November rather than the person who was elected, and you had run on a platform of “Make America Imaginative Again”, and that had been your key policy objective, was to make the country as imaginative as it could be all the way through, what do you think might be some of the things that you would have done in your first 100 days in office? That’s a good question! The thing I think about is just having spaces for play. Both for youth and children, but also adults. Play is this neglected place where we make unique associations, we generate a lot of positivity, and play can be really broadly defined. I think about creating new and different spaces for that. There are parts of the educational system that can be rehabbed and re-hauled to create more spaces where kids can engage their creativity, have places of play. Then there’s lots of spaces outside of school. Here, In Pittsburgh where I am, there’s this really interesting push on Makerspaces. You have people, kids and adults, playing with soldering irons and making circuit boards and just doing interesting engineering things, but people are engaged and passionate about that, and they get excited, and they get to try new and different things, just by creating those spaces, and how important that is. To do that from a policy perspective we really need to show the power and importance of that. It’s a cliché, but this made me think of Steve Jobs. He took unconventional paths, and part of that was inspired by this idea of play and exploration, where he did something unique and outside the box, and wasn’t confined. Play, and these bigger (psychological) spaces, allow us to not be constrained by some different tasks and goals and that can be really powerful, I think, to be imaginative. Like I said, we can do that at different levels of our society. Is it the Finnish, or the Norwegians, who give the baby boxes, where they give the box to the babies for new parents? At every level of development, you could have a “baby box” that has more interesting, unique toys. You could have different early childcare centres that have different kinds of play spaces. You could have schools that have different kinds of elements of play integrated into the curriculum. That still could be focused on learning and objective goals but then also just having these more whimsical spaces. You can do that outside of school for kids obviously, and then you can do it with adults and adolescents and people our age, where you could have different spaces outside of jobs to just engage people. That would be my basic idea, of just creating these spaces. It feels again that from a policy perspective, if you spin it in terms of innovation, people really like that as buzz wording, but I think you could build up these ideas—“Play as a pathway towards innovation”. Poverty is of course completely undesirable, ranking highly among societal evils. I thought while reading this of an article I saw the other day about immigrant families being housed, illegally, in disused industrial (office) buildings. That could be an example of a high-stress, low-impression environment where one can almost see the hippocampus wither. Of course nothing is black-and-white: “…not all individuals in poverty are struggling or face challenges” which led me to think of what innovative designers say about constraints – that they can be a great help in firing the imagination. Finding toys and contentment or joy where children of more privilege would not or getting stuff done with little or no conventional resources. I also thought about middle- and upper class children and teenagers with unfettered access to screens with games and (the more mind-numbing parts of) YouTube. Obviously every child has their own experience but when hordes of young people choose to experience individually limited digital representations of the world instead of the real thing then I fear for their imagination and our resilience. I’m 67 years old with about 5 careers in my memory. A twenty-year-old told me he doesn’t need to remember everything like me because he can always Google what he needs to know. I wonder if this affects the imagination, not having the info in your head to make all the connections? I also have mainly mechanical info, whereas the young person has digital. Will the end of the world be 9 billion people starving, while they all stare at virtual fruit on their personal sustainable agriculture websites? Very interesting subject, i was a few years ago in South Africa, where a school near Muizenberg started a permaculture garden for their pupils. This garden provided veggies for their school ” cantines” delivering fresh for about 1200 children. They asked the children to bring the rest of the meals, made at home, to bringnthat on their compost heap; They did find out that at home the only food was based on sugar and flour, the cheapest ingredients. I pledge for giving poor communities permaculture gardens, to learn how to eat healthy and do a learning proces together.